You have heard that it was said to the people long ago, “Do not break your oath, but fulfill to the Lord the vows you have made.” But I tell you, do not swear an oath at all: either by heaven, for it is God’s throne; or by the earth, for it is his footstool; or by Jerusalem, for it is the city of the Great King. And do not swear by your head, for you cannot make even one hair white or black. 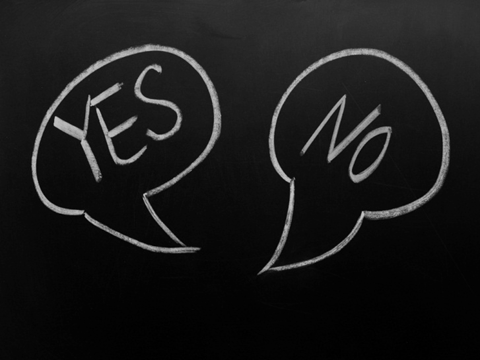 All you need to say is simply “Yes” or “No”; anything beyond this comes from the evil one. Do what Jesus says: Wield words wisely.